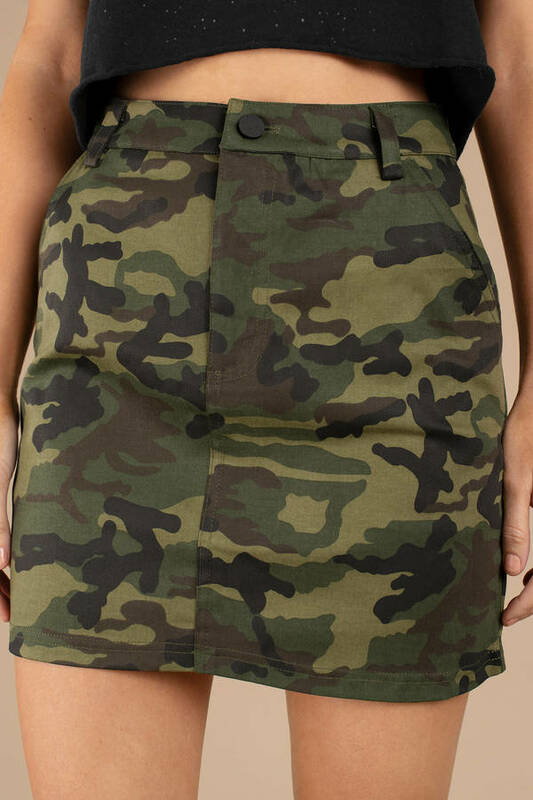 Check out Tobi's On Command Camo Skirt Report for duty in the On Command Camo Olive Skirt, featuring a high waisted fit with a classic camouflage print that stands out. Take this mini skirt out with you to your next concert for an outfit with some attitude. 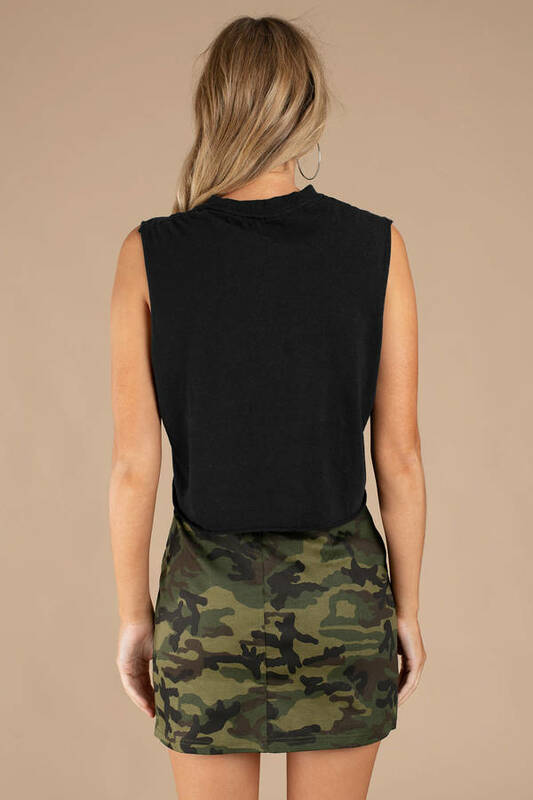 Report for duty in the On Command Camo Olive Skirt, featuring a high waisted fit with a classic camouflage print that stands out. Take this mini skirt out with you to your next concert for an outfit with some attitude.